As the SLiME treated tube rotates, centrifugal force pushes the sealant to the tread area creating a layer of protection, repairing punctures as they occur or treating existing punctures. 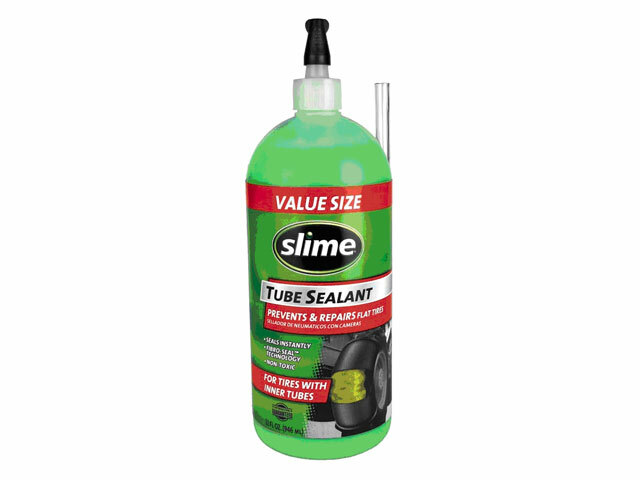 SLiME is not intended for use in tubes losing pressure from sidewall punctures, bead leaks, damaged rims or faulty valves. 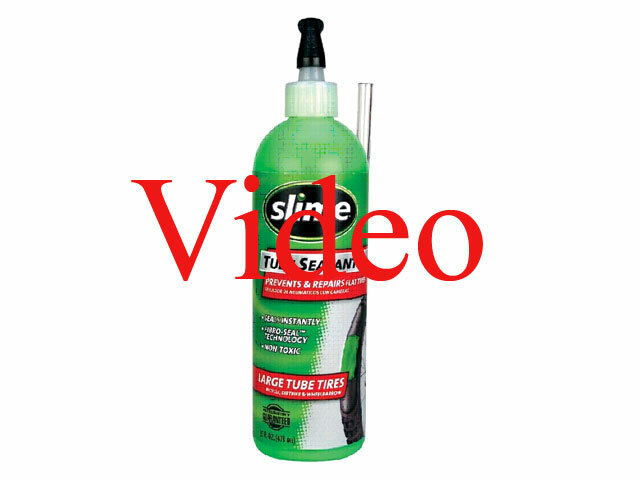 SLiME for tube type tires is NOT recommended for use in tubeless tires. Prevents and repairs punctures up to1/8" (3mm) using Fibro-Seal™ technology. Tubes treated with SLiME can be patched with a conventional vulcanized patch using a bit of patience and care! What is Fibro-Seal Technology? SLiME utilizes a state-of-the-art blend of environmentally friendly fibers, binders, polymers and proprietary congealing agents which intertwine and clot within the puncture. This Fibro-Seal lattice, together with the viscous transportation system (the "green" goo) seeks out and tightly packs itself into the puncture, preventing and repairing flats with a flexible long lasting plug.